The « Institut de Physique Nucléaire » (IPN) is one of the largest nuclear physics laboratories in Europe whose research is centred on a deeper understanding of matter and its basic constituents. The Institute, which belongs jointly to the « Centre National de la Recherche Scientifique » (CNRS) and the « Université Paris-Sud », is a leader at both national and international levels in the areas of nuclear and astroparticle physics as well as in the domain of radiochemistry and various related interdisciplinary fields. It plays an important role at the heart of high-level collaborations performing experiments at major accelerator facilities, most notably in Europe, USA and Japan. The IPN, which operates and exploits the accelerators ALTO and the Tandem, and will shortly hosts the ANDROMEDE (nanoparticle accelerator) project, comprises a total of more than 350 researchers, engineers and technicians. The human resources allow the Recherche division to participate in activities at the technological forefront whose progress is assured by two technical divisions. The Instrumentation & Informatique division studies and develops new approaches to experimental detection systems. The expertise of the Accélérateurs division in the conception and construction of superconducting linear accelerators represents a major asset both nationally and internationally. The IPN also plays a dual role in training and teaching; the laboratory welcomes many foreign visitors each year, as well as running and accommodating two of the university's doctoral schools. IPN hosts and supports the teaching related to Physics and Radiochemistry Masters. Weekly seminars: the emphasis was placed on the diversity of topics. An effort was specially made in the regularity and to increase the frequency of seminars number. Occasionally, middle school classes and higher education students visit the laboratory. Lectures in colleges as IN2P3 conferences "NEPAL" have been done. IPN organized with the University Paris-Sud a pedagogical training day for the attention of science teachers. Training topics are changed every year. IPN takes part in the Summer School "de linfiniment grand à linfiniment petit" for students. 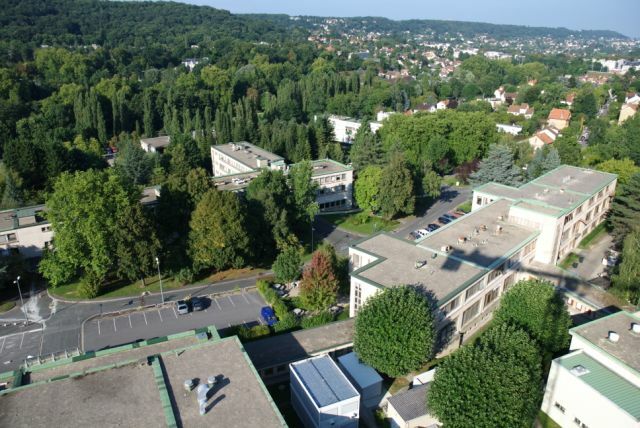 In 2014, IPN will manage the International School Joliot-Curie (EJC). The librarian of the IPN takes part of the project, pooling periodic launched by IN2P3 laboratories; the goal is for the IN2P3 community to optimize its collections.